If ever a subject and a writer were perfectly matched it is here. 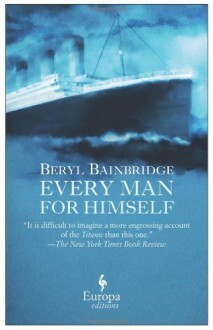 The fated voyage of the Titanic, with its heroics and horror, has been dramatized many times before, but never by an artist with the skills and sensibility of Beryl Bainbridge. Bainbridge vividly recreates each scene of the voyage, from the suspicious fire in the Number 10 coal bunker, to the champange and crystal of the first-class public rooms, to that terrible midnight chaos in the frigid North Atlantic. This is remarkable, haunting tale substantiates Bainbridge as a consummate observer of the human condition.